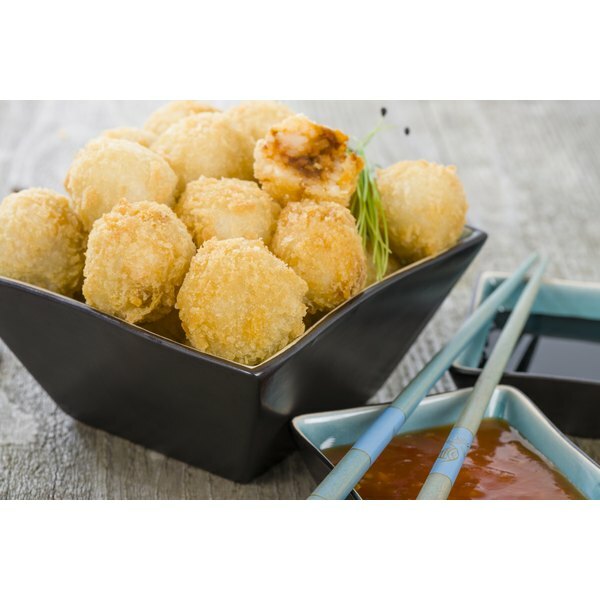 A dish of Japanese panko breaded rice balls. 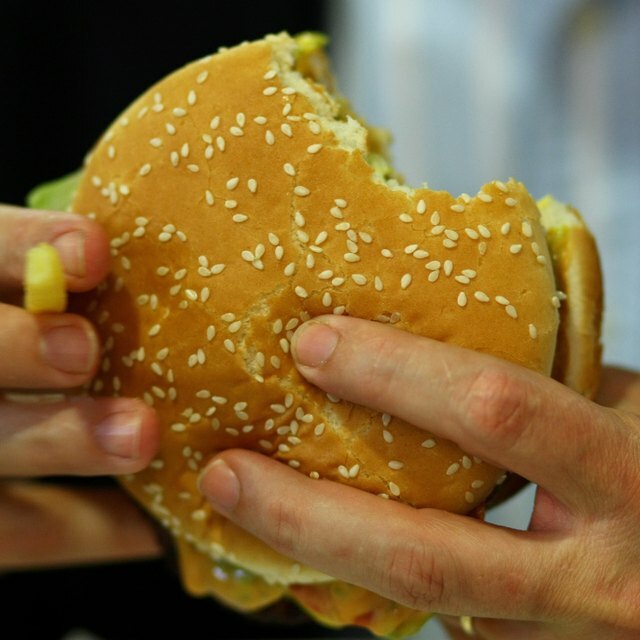 1 How Many Calories Are in a Whopper With No Cheese, Mustard & No Mayo? 3 Can I Coat Chicken Wings in Cornstarch Before Deep-Frying? Used in numerous recipes to add a touch of Italian seasoning and a bit of crunch, Panko Italian Style and Lemon Pepper Bread Crumbs adds a bit of not only zest, but a few extra carbohydrates as well. Vincent Taormina, a Sicilian, began importing Italian fare to American in 1905. In 1927, Taormina began the Progresso Italian Food Corporation in New York City, his new home. Panko, Japanese for breadcrumbs, are made from Japanese crispy or crunchy bread that has no crust. Progresso takes this bread, dries it then shreds it into thick flakes. These flakes tend to stay crispy longer than traditional breadcrumbs because of the type of bread used. Panko breadcrumbs are usually quite bland and require seasoning. Different breads have different nutritional values, and it still holds true with breadcrumbs. One serving equal to ¼ cup or 28 g of plain Panko Bread Crumbs has 110 calories, with 20 calories from fat, and a total fat content of 2.5 g. Italian Style and Lemon Pepper Panko breadcrumbs each have 120 calories per serving with 40 calories from fat, and a total fat content of 4.5 g. In comparison, traditional Progresso Plain breadcrumbs have 110 calories, with 15 calories from fat, with a total fat content of 1.5 g.
One serving of plain Panko breadcrumbs has 50 mg of sodium. One serving of Italian Style or Lemon Pepper Panko Bread crumbs has 430 mg of sodium per serving. The substantial difference in the two products is that the plain product has no added spices or flavors allowing the user to add as much or as little ingredients as needed. A single serving of plain Panko bread crumbs have 19 g of carbohydrates, no dietary fiber, 1 g of sugars and 2 g of protein. Italian Style has 18 g of carbohydrates and 2 g of protein. Panko Lemon Pepper breadcrumbs have 17 g of total carbohydrates with 2 g of protein. Traditional Progresso breadcrumbs have 20 g of carbohydrates, 1 g of dietary fiber, 2 g of sugars and 4 g of protein. Based on a 2,000-calorie diet, one serving of Panko Regular and Lemon Pepper breadcrumbs provides 2 percent of the recommended daily value of iron. Italian Style Panko Bread crumbs provide no essential vitamins or minerals per serving. Traditional Progresso breadcrumbs provide 4 percent of the daily value of calcium and 8 percent of the daily value of iron. Ochef.com: What’s So Special About Panko Breadcrumbs?